​March seemed to be a busy month. While we continue with Barb walking and Dave riding his bike, we didn’t get as much swimming in due to a couple of cold fronts that dropped temperatures into 50’s for high. 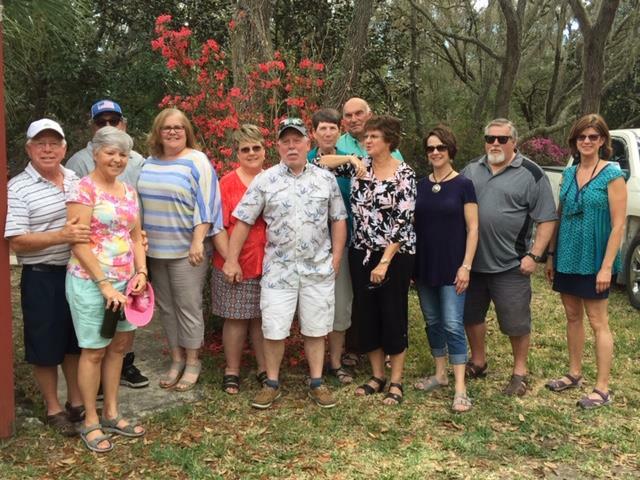 We started the month with a trip to St. Pete and a Tarrant family reunion. 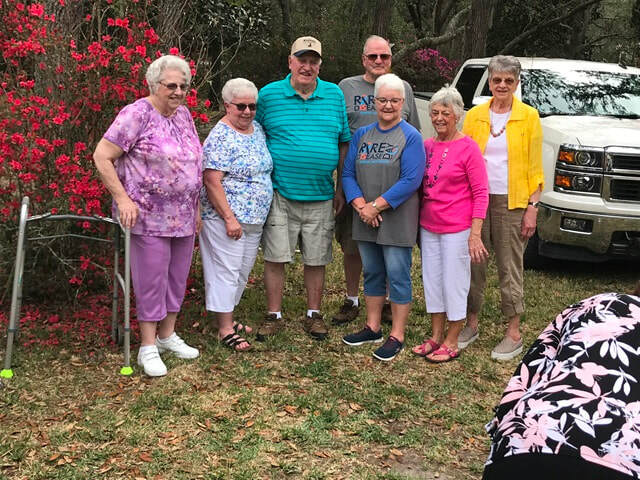 It was a beautiful day and great to see aunts, uncles, and cousins. We were surprised at the number of people that showed up. Thanks to Uncle Berry and Aunt Elaine for organizing and hosting the lunch. It was great to hear what others are doing and reminiscing with family stories. We continued to do some home upkeep and some medical procedures . Barb finished the Boat curtains and also the Kitchen appliance quilt covers. Barb also continued to work on the computer doing Rendezvous stuff and general personal stuff. We are both healthy and don’t think we have anything to worry about the rest of the year. We enjoyed a number of gatherings with boat friends. We had different groups over for dinner. Don and Barb Cavin came for dinner early in the month. We also had long time looper friends (Osteyee and Rieley) over for cocktails and then out to dinner. 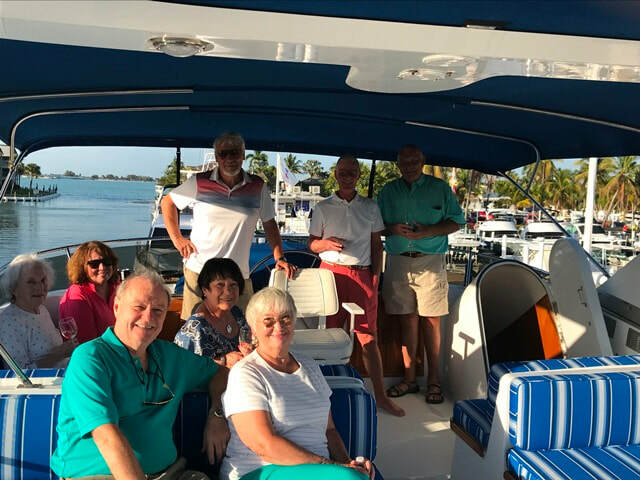 We drove to Sanibel Island for a DeFever Cruiser small dinner gathering on Still Waters (DF 53). We went out a second time to help Lou and Carol with a number of boat questions that they had. We had a great time on this much larger DF than ours. We went out to dinner with Looper friends and our good DF buddies, Roger and Lorrie Swink. 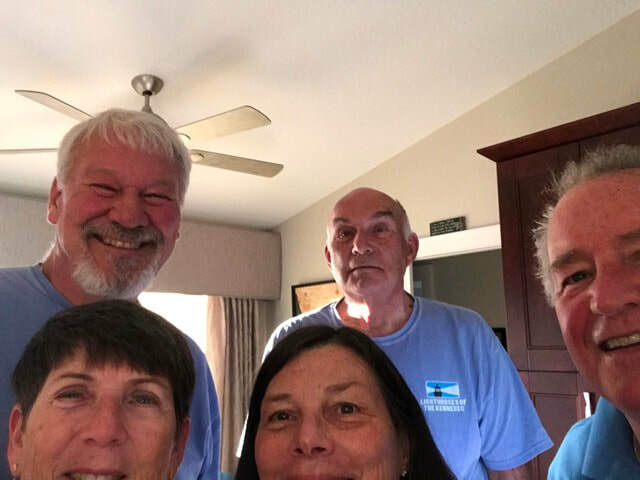 We also were happy to go out to dinner with DeFever friends Harry and Nancy Burck (DF44) as they will be moving their boat back to the Tennessee River this spring and we won’t see them for a while. Sad to say goodbye. I think we had dinner out every week! But we do enjoy gathering great friends and staying in touch. Barb’s article in the DeFever Winter Magazine came out explaining how to hold Mini Rendezvous underway. Barb got lots of great comments from DFC members. We ended the month quietly, with some good weather and good health reports. Now it is onto April. quilted covers I made for toaster oven and mixer. ​February saw warmer weather for the most part. Barb continued to walk and Dave rode his bike almost every day. We were also able to swim most of the month. Dave’s sister joined us for five weeks (Feb 4 through March 7). So some activities changed. We saw boating friends Jack and Gail Cheveney but most other boating friends were busy with other activities. Barb supported Valor of Honor quilt day by helped to make quilt blocks used in quilts to support veterans. This was an interesting experience. Jeanette and Barb sewed, went to a sewing class and a quilt show, but mostly continued running out to sewing stores for more supplies and new projects. 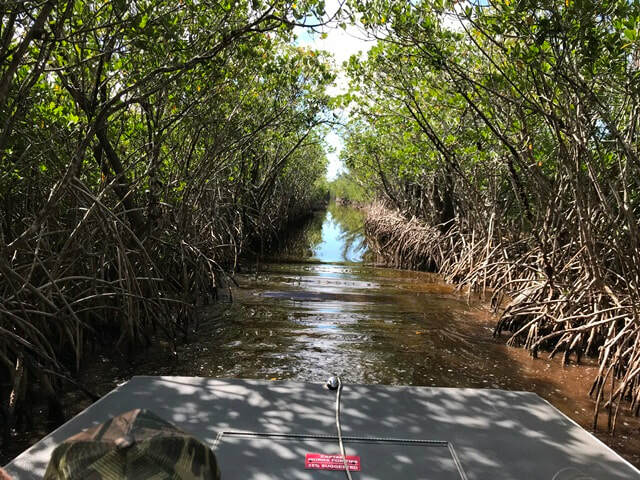 We did take a day tour to Everglade City. We took an airboat ride and had lunch there – but there was nothing else to see or do. Hurricane Irene (fall 2018) destroyed most of this small town and they are having a hard time coming back. It was difficult to see and hear about the hurricane’s destruction. Barb started working on the 2019 DeFever Rendezvous registration daily as forms came in. Lastly, we started a 2000 piece puzzle but that didn’t get finished until after Jeanette left in March – it wasn’t an easy puzzle to do. 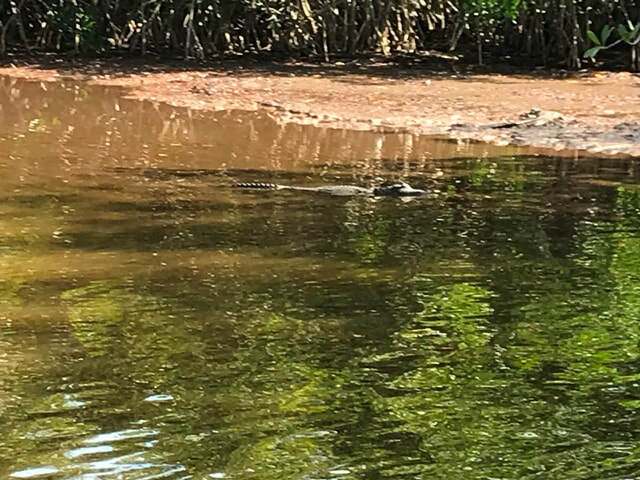 Alligator we saw on air boat ride. Not a really big one. January felt very much like winter – it was so cold that we had to use the furnace. We didn’t walk early, but we did walk each day that we could – not when it was 42 ° out. 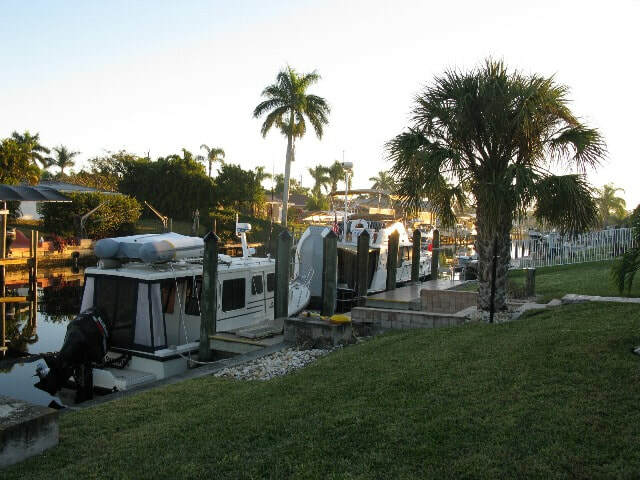 We started the month by putting away all Christmas holiday decorations and preparing the house for boater friends. We did do some home maintenance this month also. Barb planned a Birthday party for Dave but only one couple actually made it to the house (we had lots of left overs). 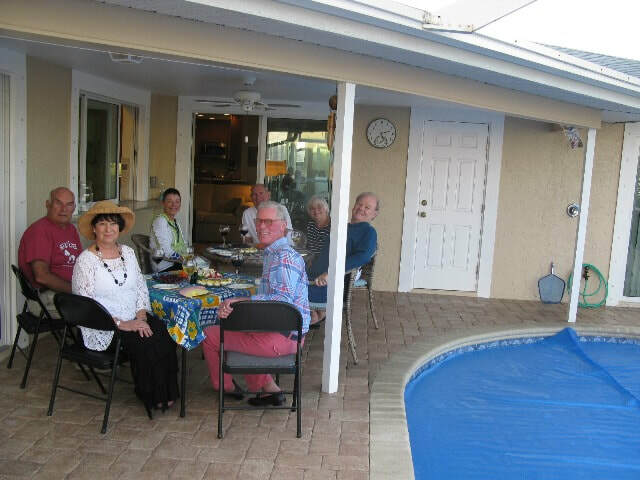 We did manage to gather with a number of boater friends this month either at the house or other places. The pictures are of a few gatherings with both DeFever Friends and Looper Friends. Barb also had the opportunity to meet former colleagues a couple of times. We had lunch with former Grand Rapids neighbors. 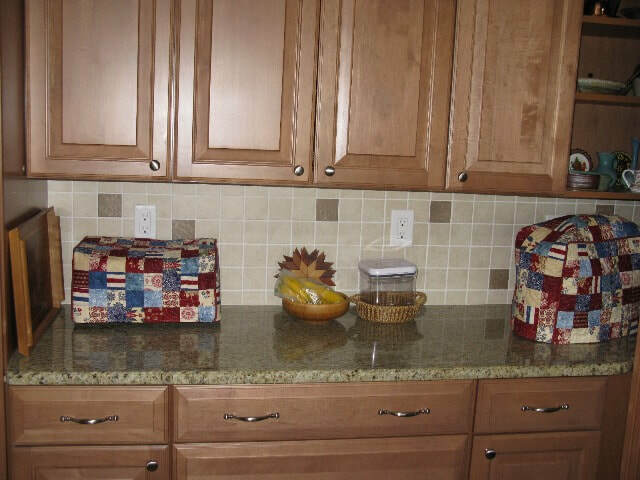 Barb continued craft projects of knitting, sewing and creating flower arrangements for the house. We ended the month with two looper boats at the dock together. Thankfully they were both able to fit on the 50 foot dock. 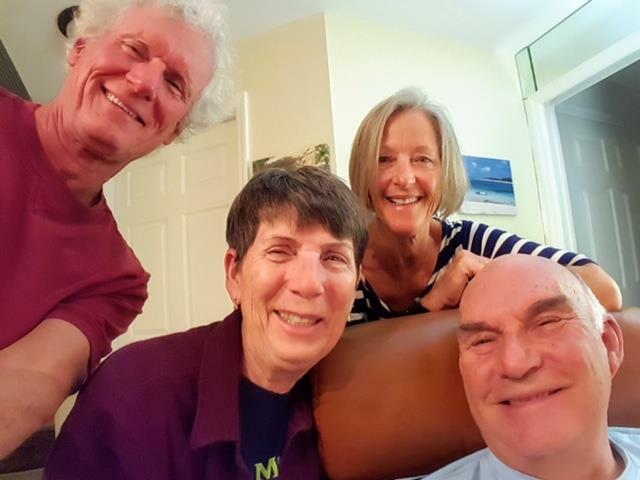 DeFever gathering at home with Lou and Carol Hoeksra (foreground), Bob and Kemba Degrout (back right) and Gail and Jack Cheveney (back left). Bruce and Sue Madara with us at our home.